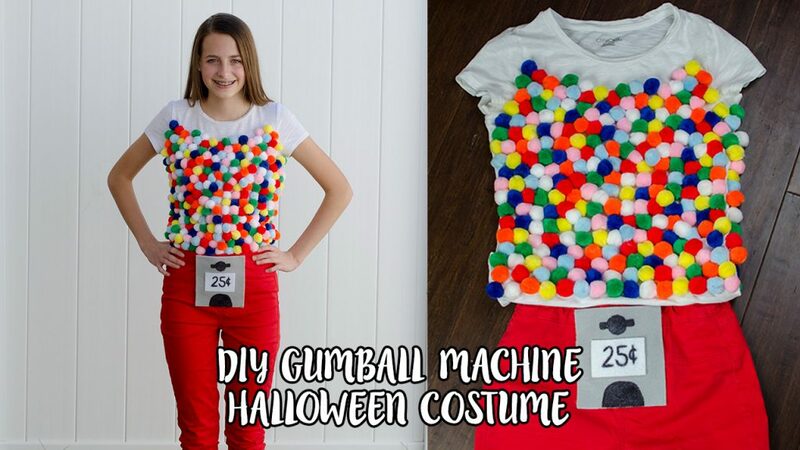 Halloween is almost here and today I am showing you how I made this adorable DIY gumball machine Halloween costume for my daughter. She is in a club and they are having a Halloween costume contest and the only criteria was that it needed to be homemade. She decided on being a gumball machine and though it looks like it took a bit of time getting all the “gumballs” on, it didn’t in the end. Below you can see written instructions and also below is a link to my video tutorial. 1. 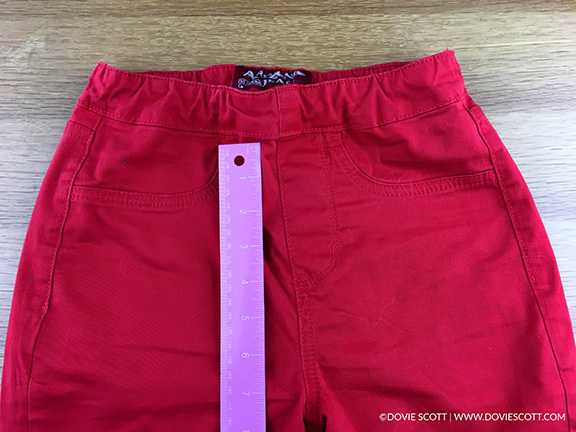 Start by measuring the width and height of the front part of your pants on how large you want the grey felt area to be. The grey felt is what resembles the metal front of a gumball machine. My measurements were 5″x5½”. 2. Next, use your ruler and draw out your measurements on the grey felt and then cut it. I cut out a 5″x5½” section of the grey felt. 3. Next, take your white felt and draw out a small rectangle/square on it and then cut it out. 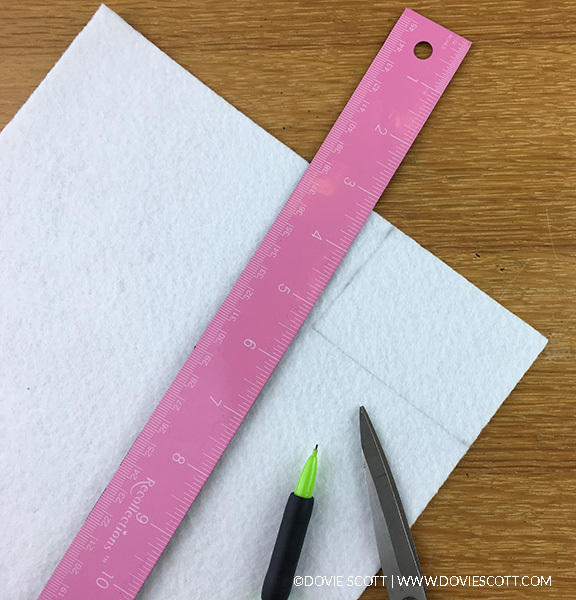 My measurements were 3½”x2″ for my white felt rectangle and I used self adhesive felt. 4. 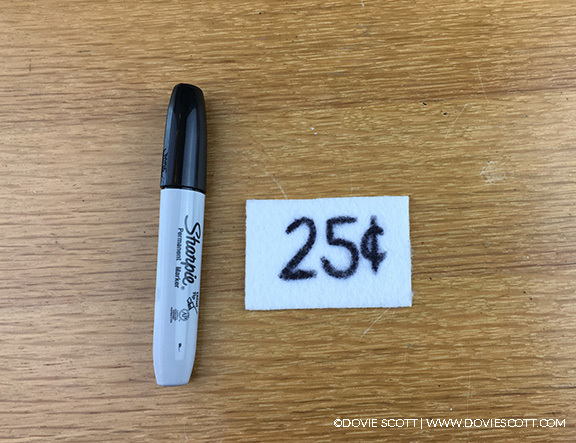 Next, draw out 25¢ with your permanent marker (or fabric marker) on to the white felt that you cut out. 5. 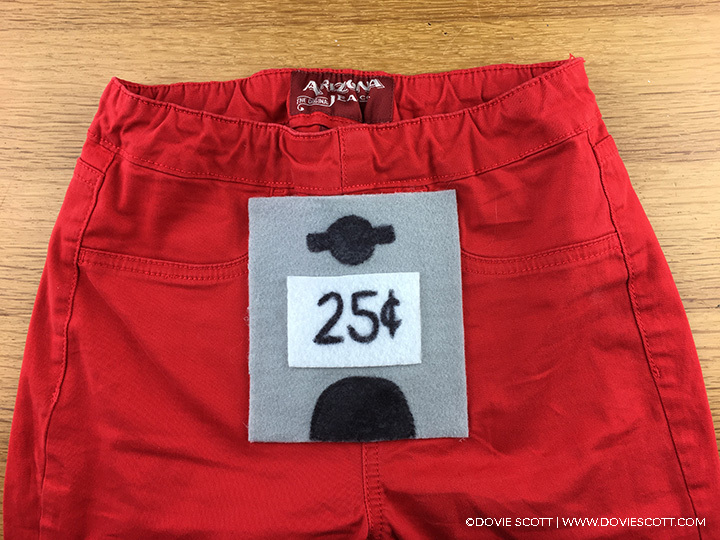 Next, you will adhere the white 25¢ felt onto the front middle portion of the grey felt. 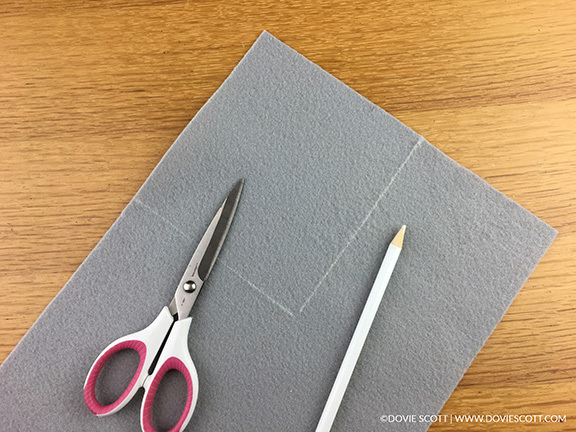 You will adhere the felt by hot glue or if you use self adhesive felt then just remove the backing to expose the sticky side of the felt and place it on top of the felt. Then you will draw the gumball opening on the bottom portion of the grey felt by drawing a half circle. 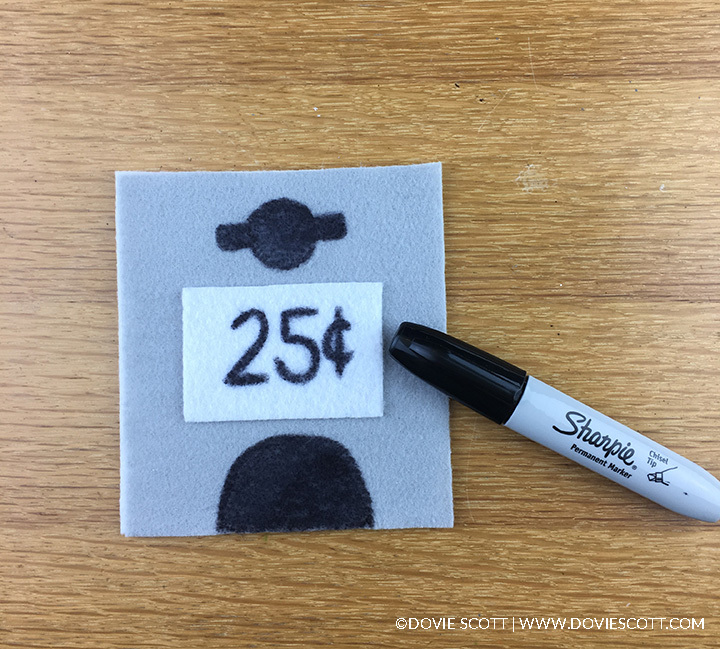 Then draw the coin intake on the top portion of the grey felt by drawing out a circle and then a long skinny rectangle through the middle of the circle, making sure to overhang the ends of the rectangle as seen in the example photo. 6. Next, you will adhere the grey felt to the front portion of your pants. You can adhere it by hot glue, fabric glue, sewing it on or using self adhesive felt. If you want to save the pants to wear for a later time then using self adhesive felt will be the way to go. If you do use self adhesive felt then I recommend basting a stitch on each of the corners so it will be secure and not fall off but the stitch can easily be removed. 7. 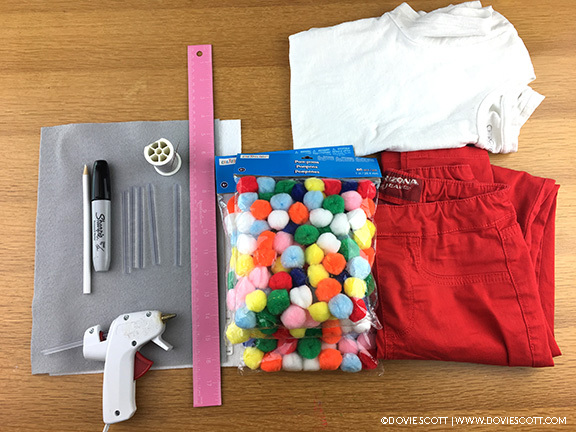 Now it’s time to add the pom poms to make the gumballs! 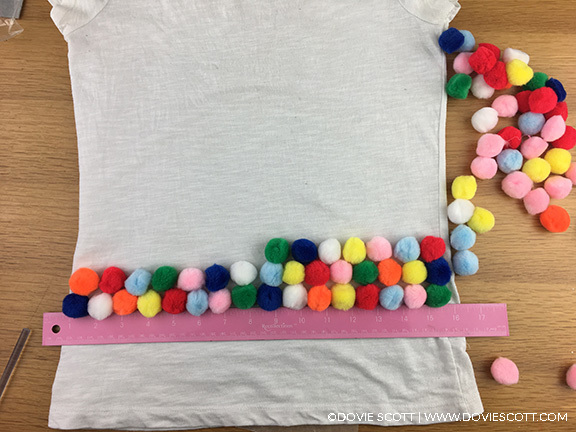 You can place hot glue or fabric glue on the backside of the pom pom’s and then place down on top of your shirt in any pattern that you want. (Tip: I started by individually placing them down but it became much easier once I started putting hot glue down in lines and then just quickly placing the pom poms on top.) 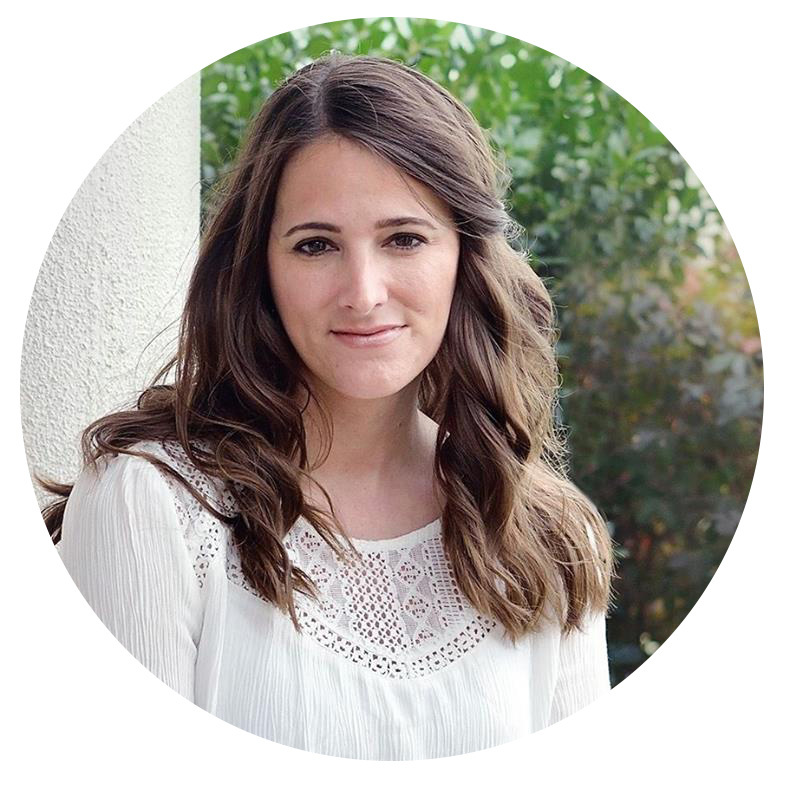 If you are tucking your shirt in then leave room at the bottom of your shirt that doesn’t have pom poms. Now there you have it! 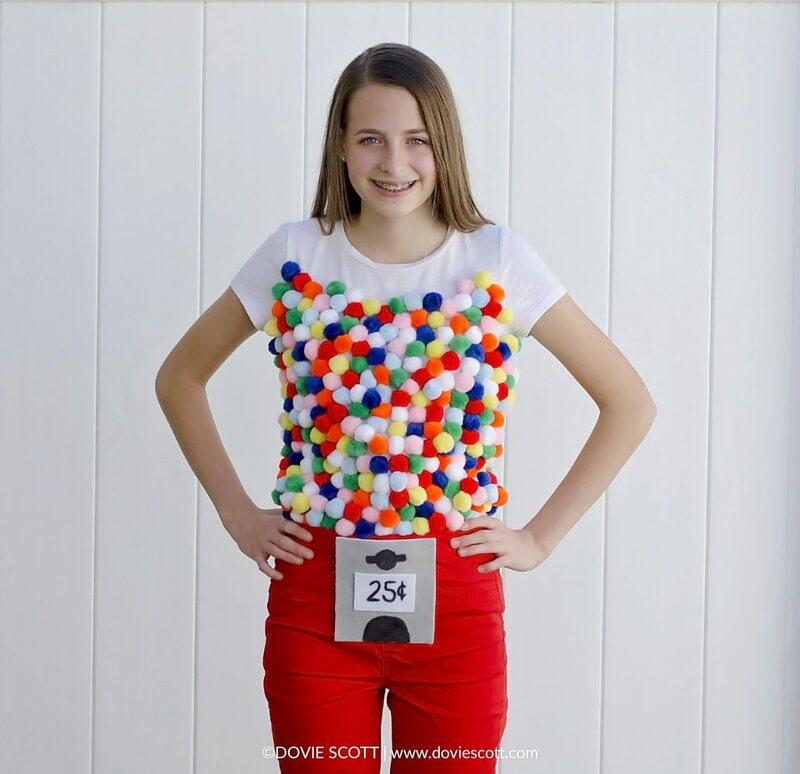 A simple and unique Halloween costume. I will update you after my daughter has her Halloween costume contest on the 28th and let you know if she was one of the winners.